No, not a Louis L’Amour novel about a gunslinger redeemed by the love of a good woman, but a Greek way with goat. 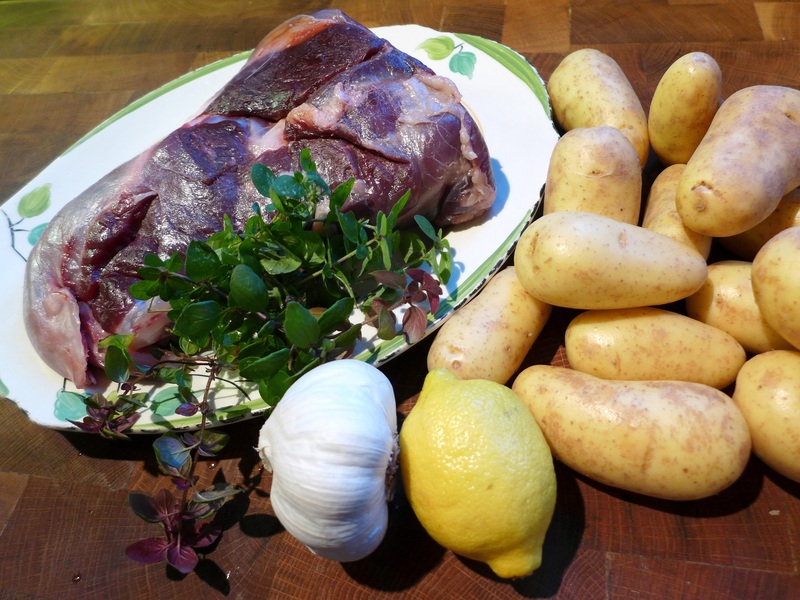 Slow-cooked with garlic, lemon and herbs, it makes a great Sunday lunch and as you do all the (not very) hard work the day before, it’s faff-free. My kid came from Fielding Cottage in Norfolk which makes fabulous goat’s milk cheese. Instead of slaughtering the male kids in its herd at birth like some in the dairy industry, it rears them for meat, which I think is laudable. Goat meat is delicious and I don’t know why we don’t eat more of it in this country. It has low levels of saturated fat and cholesterol combined with a high iron content, so as red meat goes, it’s a healthy choice. However, this recipe works equally well with lamb if that’s easier to source. I can’t say it’s an elegant dish but it’s the best sort of comfort food. 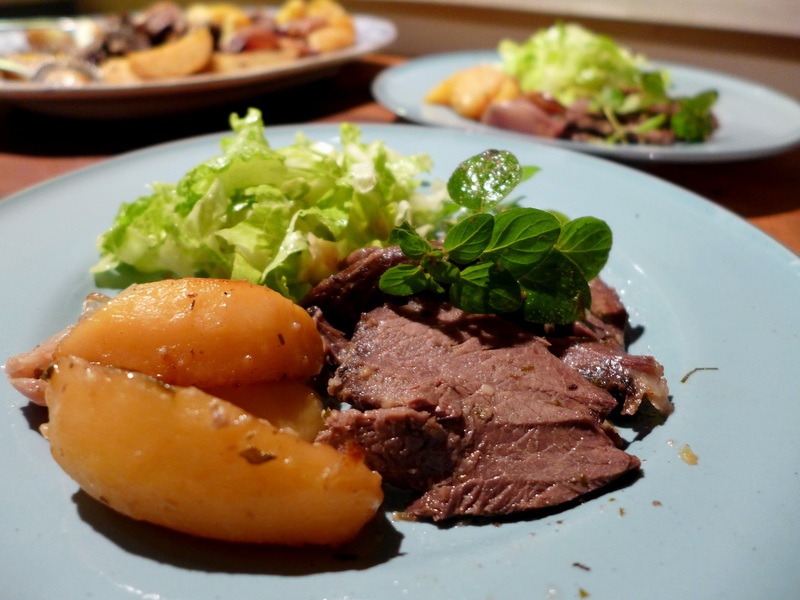 The meat is meltingly tender and the potatoes are superb … infused with lemon and garlic, with a golden glow from the final blast of heat, they taste rather like confit potatoes but without the enormous amount of butter those require. Make the marinade by smashing up the garlic cloves and oregano with the salt until you have a paste. Add the zest of one lemon and the juice of two, the cinnamon, oil and a good grind of black pepper. Put the marinade in a large freezer bag and add the meat. Massage the paste all over the joint, seal the bag and put in the fridge overnight, turning occasionally. I left mine for two days. Pre-heat the oven to 160C/320F/Gas Mark 2-3. Peel the onions and potatoes and cut into thick wedges. Put them on the base of a large casserole or roasting tin and lay the meat on top. Rinse out the freezer bag with a little water and pour it around the meat and add more water up to 300ml. Squeeze over the juice of the third lemon and add the lemon skins to the pan. Run a piece of greaseproof paper under the tap, scrunch it up to squeeze out the excess water and lay it over the meat. Seal the pan with a double layer of foil and/or a tight lid and cook in the middle of the oven for four or five hours, until the meat is very tender and coming away from the bone. Remove the meat, cover with foil and rest somewhere warm. Drain the juices from the pan and reserve. Turn the heat up to 220C/425F/Gas Mark 7 and put the vegetables back in at the top of the oven for about 15 minutes to brown a little. Skim any fat from the juices, put them in a saucepan and bubble on the stove until they have reduced and intensified. Add half a teaspoon of honey you feel it is too astringent and adjust the seasoning to taste. 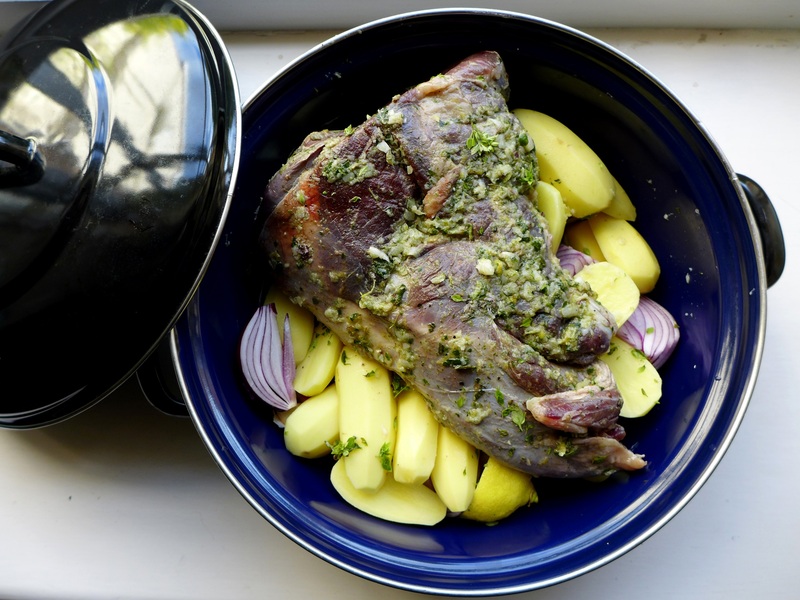 Carve the meat and serve with the potatoes and onions, garnished with fresh herbs and with the sauce in a jug to pour over at the table. Good with a crisp salad. 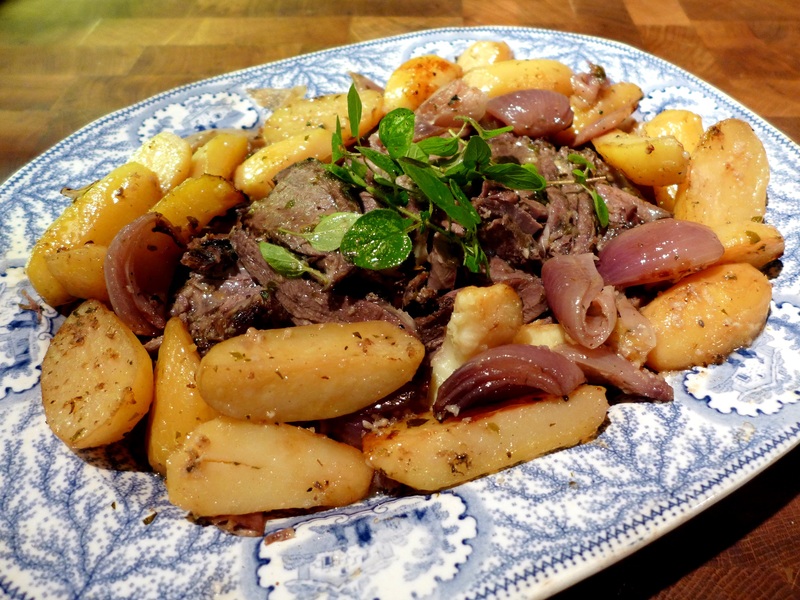 This entry was posted in Lamb and kid, Mains and tagged Greek roast goat, Greek roast kid, slow roast lamb, slow-roasted goat, slow-roasted kid, the kleftiko kid by Linda Duffin. Bookmark the permalink. Sounds wonderful. I do something similar with lamb but not tried goat before. Me neither, before this, but I’d definitely make it again. It has a lovely flavour and texture, not at all ‘goaty’. We are kindred spirits Mrs P. I managed to source two kilos of goat through my butcher friend. Ir rates as impossible to get here. I have cooked a rendang with one kilo and plan a tagine with the other. Posts to follow. I love your presentation.